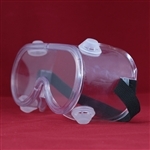 Non prescription safety goggles for laboratory or general use. In polycarbonate. 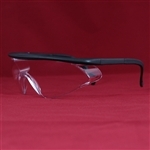 Safety Overspecs, designed to be worn over your prescription spectacles. For laboratory or general use. 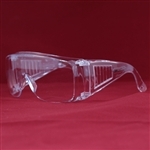 Stylish non prescription safety goggles for laboratory or general use. In polycarbonate. This is the small size suitable for teenagers and smaller adults especially ladies. Supplied with head strap, Black & silver models shown. This is the large size suitable for adults especially men. 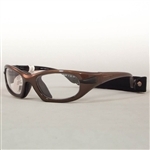 Supplied with head strap, Brown & Blue models shown.